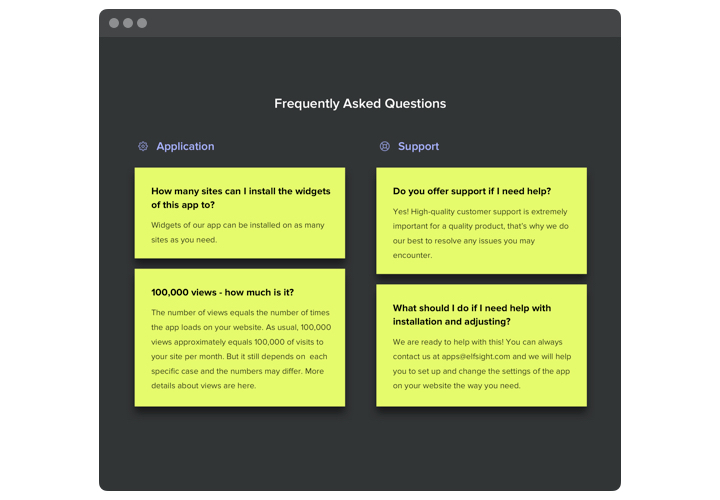 FAQ by Elfsight is a powerful and easy to use and customize plugin to set and publish a list of the most needed questions with answers on a personal website. An interactive plugin with easy navigation helps you to display comprehensive information about your business, focus users’ attention on its strong points and defeat all probable fears and disbelieves, which could stand in the way to purchase. 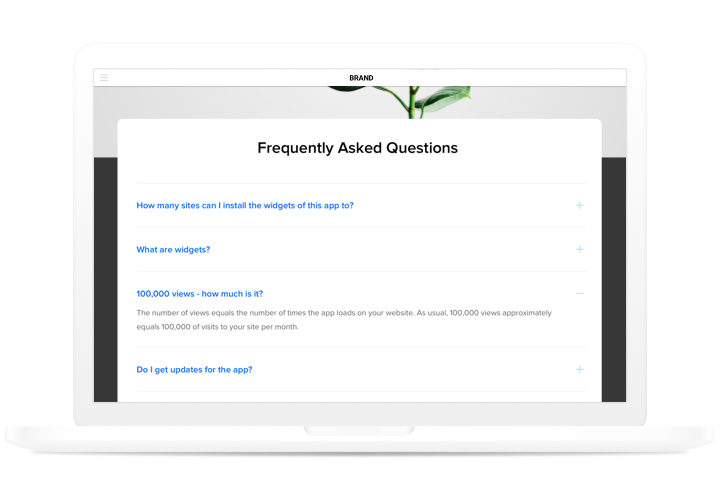 Answer all appearing questions of your visitors in a flash and increase conversion on the site! Provide convincing information and level up your income. 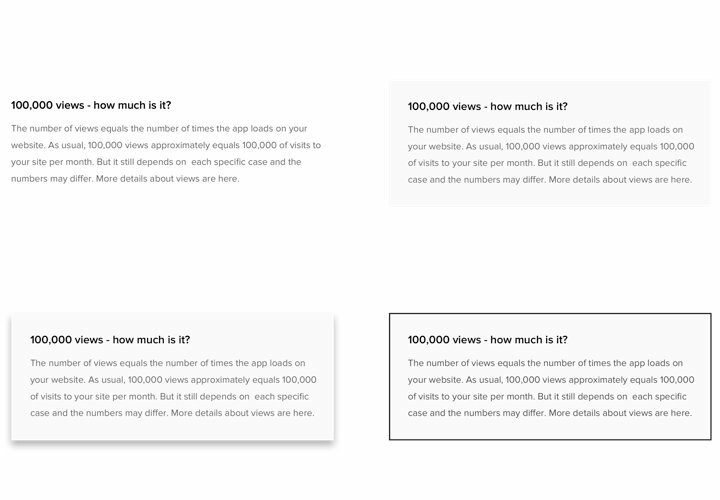 Show maximum information about your products or services to your probable users, to crash all queries they may have about them, and increase income on the site. Create a flawless image of your company among customers. Demonstrate to your readers the true image of your company and business processes, to fight misconceptions and doubts about starting cooperation. Reduce the time and price of customer support work. 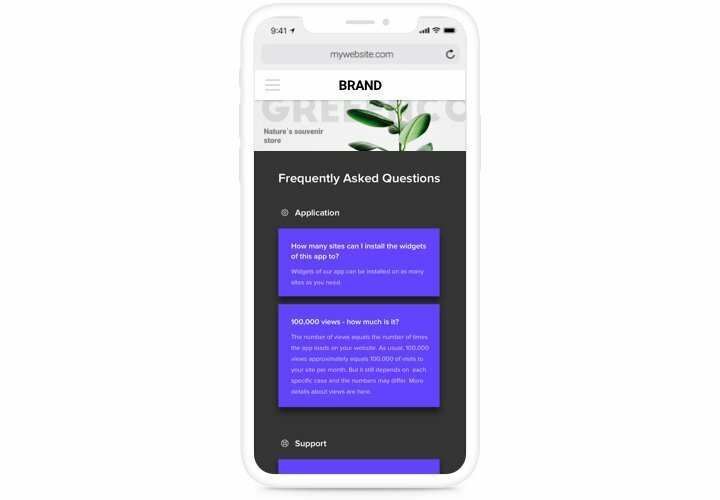 Add answers to all frequently asked questions about your products or services, to decrease the excessive loading of your client support team. The basic advantages of our plugin, which allow it to become the most flexible tool to add accordion FAQ on JQuery website. Publish a plugin with the help our short guide. It’s very easy and doesn’t require skills in programming or hiring a professional. Average setup duration is only 60 seconds. With the help of our free demo, generate a plugin with desired design and capacities. Acquire a code for integrating the plugin. 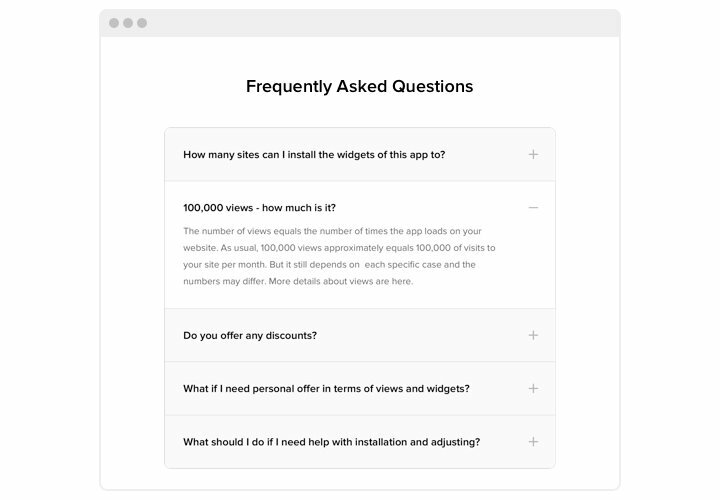 After widget tuning, get a code for FAQ from the appeared notification on Elfsight Apps. Publish the plugin on website. 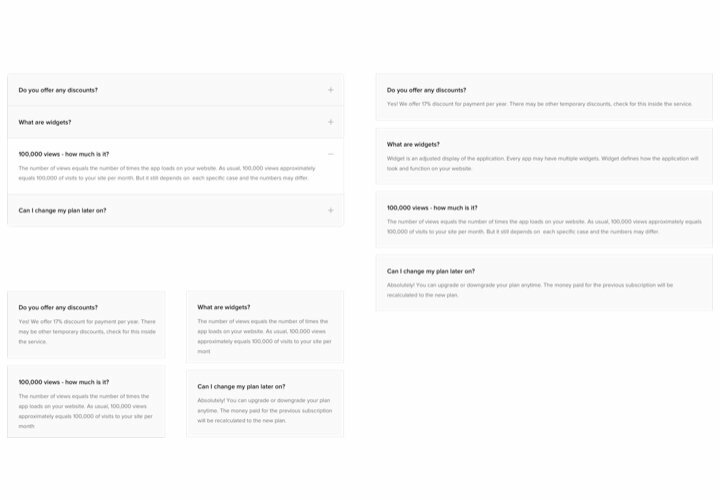 Place the FAQ on the needed spot of the website and apply the changes. Visit your site, to see your plugin. Experiencing issues with the instruction? Address Elfsight support team or study a complete version of the guide «How to add FAQ to jQuery website» and finish the creation of the plugin yourself. Generate JQuery FAQ Accordion in only 1 minute!